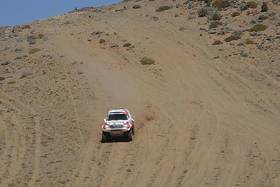 SA-Dakar Rally: "Ginny" and "Schnietz" - A story of friendship and respect. There are memories that stay with you for ever - such as the 2009 Dakar Rally, when Giniel de Villiers (South Africa) and Dirk von Zitzewitz (Germany) achieved a notable victory, thereby heralding the beginning of a new era in the world’s toughest rally. It was the rally’s first outing in South America, the first time an African triumphed in this legendary cross-country motorsport event, and the first win for a diesel car too. And highly developed diesel cars have continued to dominate the event ever since. 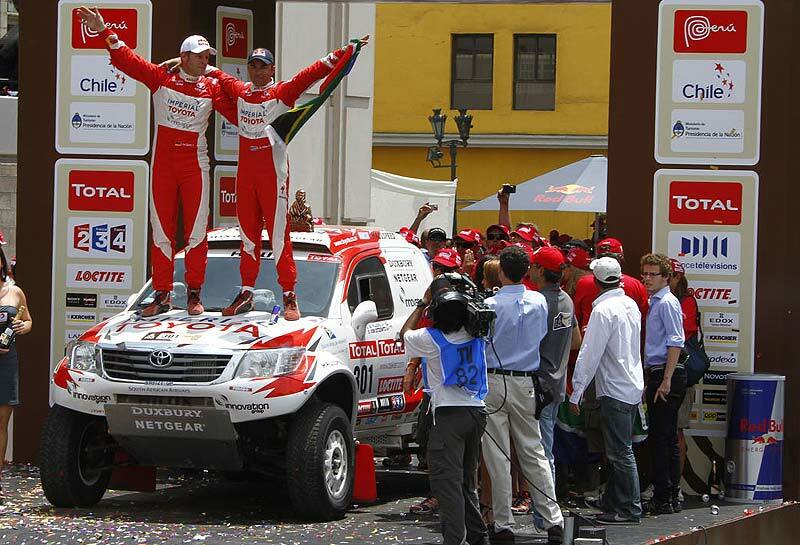 But in the 2012 Dakar Rally, this victorious duo of yesteryear and their new, private Imperial Toyota team began to chip away at the supremacy of the prototypes with typical racing engines, indicating the shape of things to come in the world of cross-country rallying by surprisingly clinching third place in an inferior V8 Hilux fitted with a production-based engine developed for future Dakar rallies. This result is as notable as their 2009 victory and clearly deserves to figure prominently when they look back on their careers. The 2009 Dakar victory forged a strong bond between "Ginny" and "Schnietz", as they like to call each other. 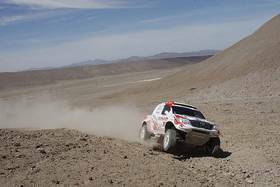 And their outstanding surprise success in the 2012 Dakar Rally has the potential to be a historical turning point in the careers of this amicable driver/co-pilot duo, who aren’t afraid to start from scratch. Theirs is a relationship founded on friendship and respect. 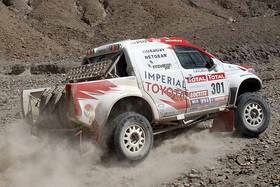 The story of these Dakar Davids who repeatedly undermined the self-image of the off-road Goliaths such as X-raid Mini and Hummer with their daily achievements is the definitive story of the 2012 Dakar Rally. 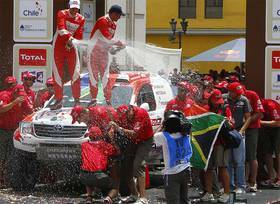 And it’s a story that has given a lift to an entire team, as Giniel de Villiers and Dirk von Zitzewitz have a special status within the Imperial Toyota team headed by Glyn Hall. When not behind the wheel, they are more than happy to give advice to the Dakar rookies, who avidly lap up their every word. Within the team, "GdV" is approachable, laidback and authoritative, while "DvZ" is all about sincere understatement. But in the cockpit, one of them is the boss, while the other gives the orders. It’s a constellation that simply wouldn’t work without a great deal of mutual respect. Around five thousand sentences are exchanged in the cockpit during the Dakar Rally - amounting to more dialogue than there is in some marriages within the space of a year. And the delivery is invariably in the form of an order - there’s no room for kid gloves here. "As a co-pilot, you really need to have faith in your driver, so that you can focus entirely on navigating without permanently having to survey the terrain," says Dirk von Zitzewitz. "And that’s precisely what makes Giniel and me work so well as a pair: there is mutual appreciation of what each other has to do." Giniel de Villiers then adds: "We have the same goals that we will doggedly fight to achieve. But when we get out of the car, we are both able to not take ourselves too seriously. And that’s what I really like about our partnership." "Life’s too short to drink bad wine," says Giniel de Villiers. Meanwhile, his co-pilot Dirk von Zitzewitz prefers a well-aged whisky or a well-made cappuccino. But "Ginny" and "Schnietz" are also sportsmen through and through. Giniel de Villiers calls himself an outdoor type and spends a lot of time kitesurfing or on a motorbike. He is always on the go and both he and Dirk von Zitzewitz have mountain bikes provided by the bike manufacturers Specialized. The two of them are Red Bull athletes and they both got themselves physically and mentally ready for the 2012 Dakar Rally in South Africa. And the two of them have very close ties away from the Dakar too, spending up to 150 days a year together on test drives and in rallies. 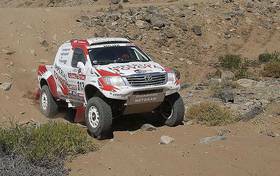 Giniel de Villiers insisted that his co-pilot in the 2012 Dakar Rally be Dirk von Zitzewitz, making von Zitzewitz, who hails from Germany, the only non-South African in the Imperial Toyota team. Giniel de Villiers had good reason to want to carry on working with his long-term partner even after parting ways with Volkswagen - the South African and the German have worked together since early 2006 and have so far made it onto the winners’ rostrum together ten times. They are Mr and Mr Reliable. 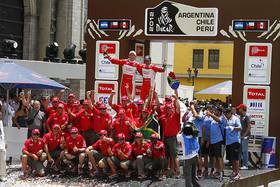 They know their own limits and also those of the material they work with, and this is what reaped them their 2009 Dakar victory. But things looked rather different in 2012. 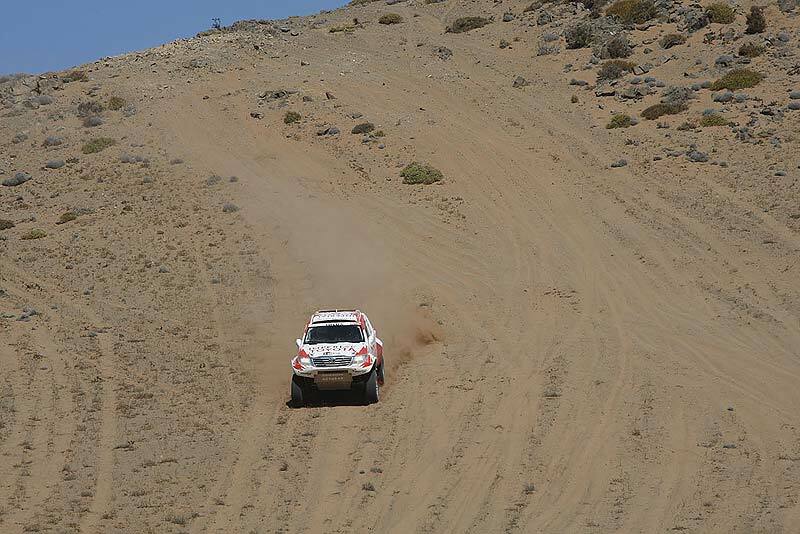 "GdV" and "DvZ" only had 700 kilometres of test driving under their belts ahead of the Dakar - not nearly enough to push their vehicle to the limit on the especially rough rally stages. So, typically for this congenial couple, they opted for a conservative driving style. And once again in 2012, this "less is more" approach meant that de Villiers and von Zitzewitz were in the right place at the right time, giving them the success they had hoped for while others took too many risks and paid the price for it. "Dirk is able to rein me in at just the right time," says Giniel de Villiers, "but he also knows when to get me to adopt a more aggressive driving style if necessary. I trust him implicitly and we understand each other without having to say a great deal." In the early days of their partnership, it was precisely this implicit trust that von Zitzewitz found slightly baffling. Harking back to their first test drive together, he comments. "I knew we’d work well together as soon as we got going. But it did take me a while to get used to the fact that Giniel would immediately make a right turn as soon as I instructed him to go right. Every other driver I ever navigated for would take note of my instructions and then examine the situation to work out what I meant - but not Giniel. But after a few kilometres, we had got our timing down to a fine art and we just clicked as a team." And this is certainly borne out by the pair’s first cross-country rally successes: second in the 2006 Rally of Tunisia, first in the Transibérico Rally, and first in the Rally of Morocco. 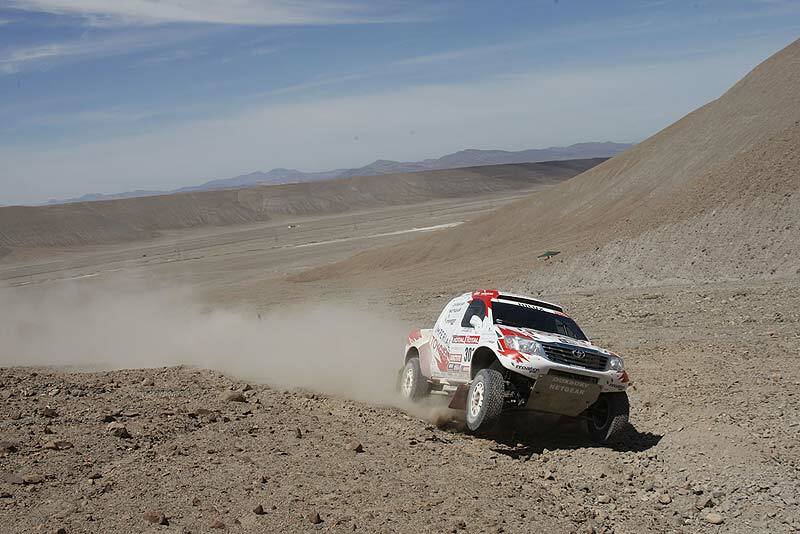 And in their first Dakar Rally in 2007, the pair enjoyed a comfortable lead until engine trouble caused them to drop back. 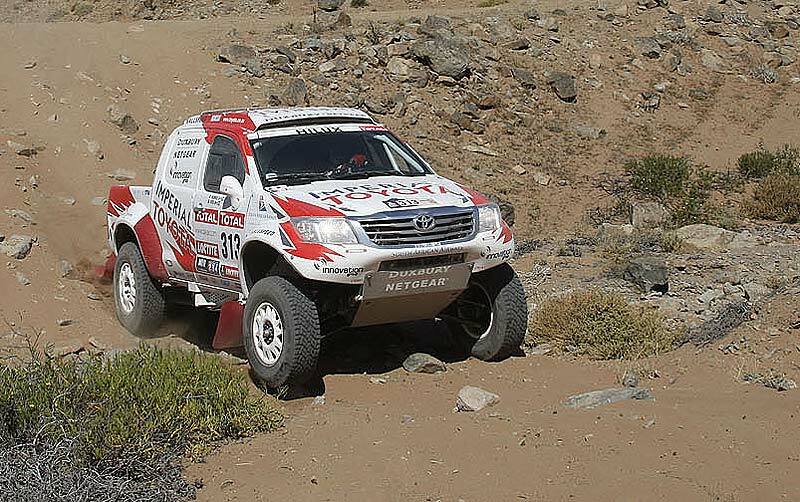 "Ginny" and "Schnietz" have clearly set their sights on repeating their Dakar Rally victory of 2009. 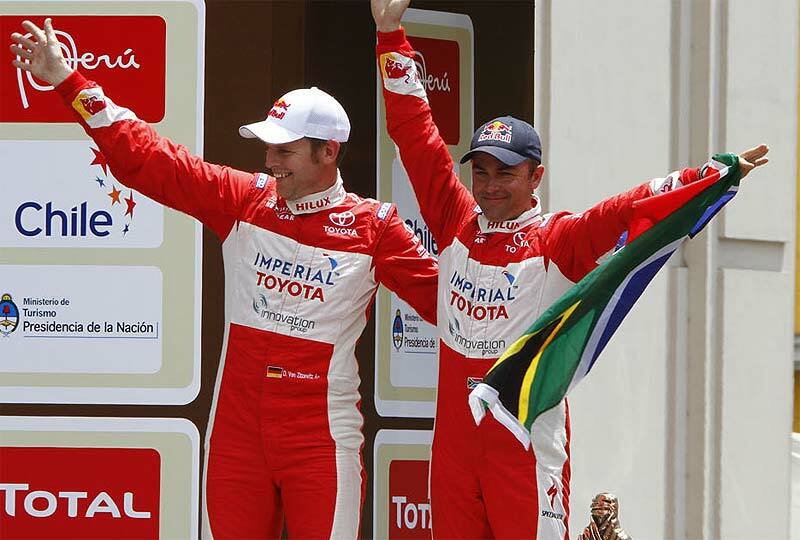 So when their longstanding employee Volkswagen pulled out of the event, they decided to go with Imperial Toyota, which is looked after by the Hallspeed team that has accompanied Giniel de Villiers since his first forays into off-road sport after having won the South African Touring Car Championship no less than five times. De Villiers is confident that they can achieve their dream with Hallspeed. And the potential of this incredibly hard-working team became apparent after just a few kilometres in the 2012 Dakar Rally - even though the cooperation was actually designed as a long-term project and the Hilux prototype was developed on the basis of new regulations. "Not only our opponents, but also the event organisers, the fans and the media reps were rather surprised by how well we were doing after the first few legs of the rally. We ourselves didn’t expect to be giving the firm favourites a run for their money right from the start of the event," admitted de Villiers. "But when we did, they treated us with respect and were also honestly delighted to see a new manufacturer hotting things up in the Dakar Rally." The potential offered by the combination of the Imperial Toyota Hilux, Giniel de Villiers and Dirk von Zitzewitz has therefore whetted the appetite for more and for further memorable moments not only of the drivers themselves. 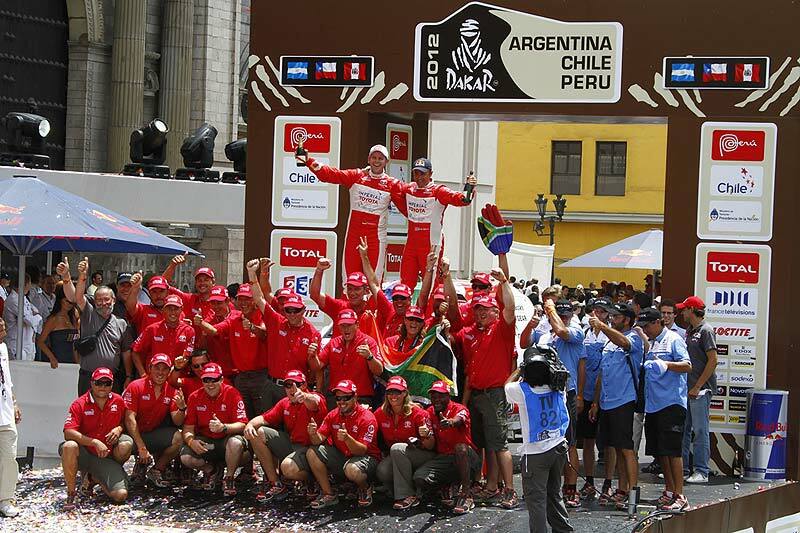 And maybe the 2013 Dakar Rally will prove to be one such memorable moment.